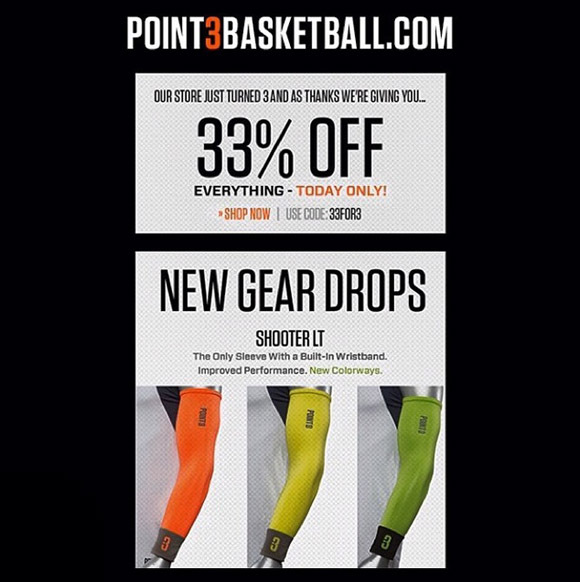 Point 3 Basketball Performance apparel is celebrating their 3rd year in business and to celebrate they are giving 33% off of everything in their online store. Use code 33FOR3 when you checkout and the sale is only good for today so don’t sleep! Head over to Point 3’s online shop HERE to take a look around. Thanks for the heads up! Got shorts and a base tee for $40 free shipping! good looks nightwing! i’ve wanted to try these out for a while!